Only about the size of New Jersey, Israel is a fascinating and dynamic country. As a major historic, religious, cultural, and business center, it’s also a popular spot for leisure and business travel. The spectacular geography and unique sites can make running in Israel a real treat. 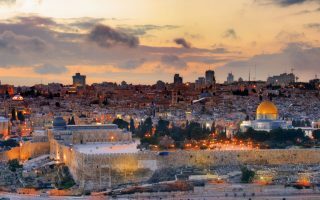 Our approach when developing our Israel running guide is to recommend the top routes in some of the major centers and visitor destinations. 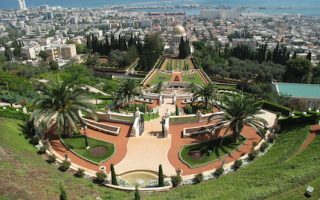 We have comprehensive coverage of the best places to run in the cities of Tel Aviv, Jerusalem, and Haifa, as well as popular spots such as Tiberias and the Sea of Galilee, Nahariya and Acre, the famous Masada/Dead Sea/Ein Gedi area, and the southern resort town of Eilat, where nearby there is also unique running in the Negev desert at Timna National Park. A couple of notes about running in Israel: be aware of historical sites and cultural sensitivities — ask before you run. Also, many of the main secondary roads are very traffickey and don’t have sidewalks, so use caution. And although Israel’s climate is among its attractions, summers are very hot — dangerously so in the desert. 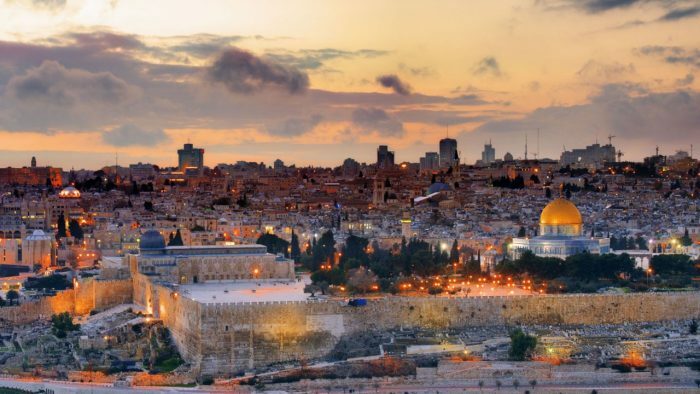 Israel's second largest city is a lively, multicultural dynamo. The signature running in Tel Aviv is the promenade along the Mediterranean. Nice runs along the Yarkon River, some cool neighborhoods, Boulevard Rothschild, and Herzliya. The best places to run in Jerusalem include our 'runseeing' tour, the Promenade (Tayelet), rail trail (Rekevet), The Forest, Sacher Park, and the Ben Shemen Forest. We don't recommend running in the Old City. 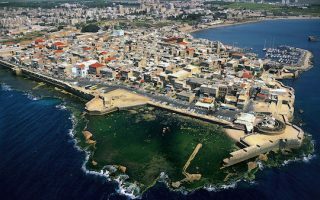 This northern Israel port city has some gorgeous running, with its hilly setting overlooking the Mediterranean. We've mapped routes along the 7 km seaside path, around the Bahá'í Gardens, the famed 1,000 Steps, and Mt. Carmel National Park. Nice waterfront running paths in these northern Israel spots near the Lebanon border. From Nahariya, the path goes for 3 km south to Shavei Zion. From Acre, the path goes for 3 km north. Also, do a quick jaunt around the Acre Old City! Some good running around the Sea of Galilee. 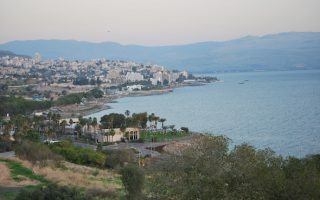 A 'runseeing' tour of Tiberias Old City, including the Yigal Alon Promenade, a few km of nice running along the Jordan River, and a good section of the Israel National Trail above the sea. Run from the lowest place on earth! 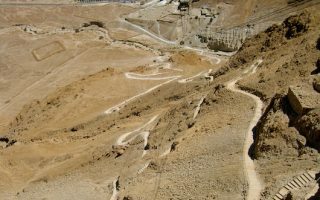 Masada's snake path which climbs 2 km and 400 meter elevation gain to the summit and wonderfully preserved Roman fortress with great views. Nearby Ein Gedi is a trail running treat. Southern Israeli port and resort town on the Red Sea near Jordan, popular with visitors. Our 6.4 km route features the beach promenade and marina, mostly off-road. Timna Park, 20 km north, has spectacular desert trail running. 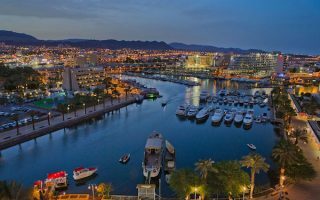 v has a combination Mediterranean and desert climate. Summers are hot and humid, with high temperatures averaging 90F+ (32C), and hardly any rainfall between May and October. Winters can be rainier, with average high temperatures in January around 60F. Nighttime temperatures in winter can be cool, but rarely below freezing. Generally the weather is good all year for running but be aware of the summer hear and humidity. Jerusalem has a Mediterranean climate, but moderated by its altitude. It’s pleasant nearly year-round for running. Summers are warm to hot, with high temps 80–85F (26–29C). Winters can be cool, with average highs in January around 54F (12C), and chilly evenings, around 4C. Temps occasionally go below freezing. Snow is rare. Winters can be rainy. Summers are very dry with virtually no rain between May and October. Jerusalem’s weather is much more pleasant than Tel Aviv’s in the summer. All of our sections in Israel are in areas popular with visitors, so there’s a good selection of hotels. 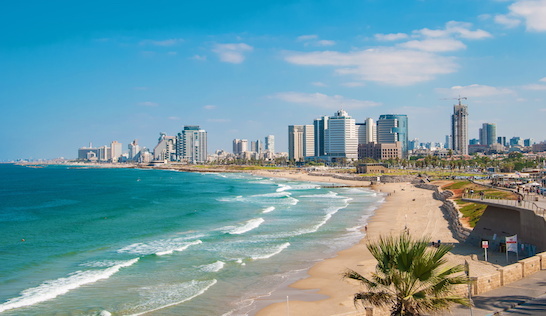 Tel Aviv is an important business center and is also a popular tourist destination. 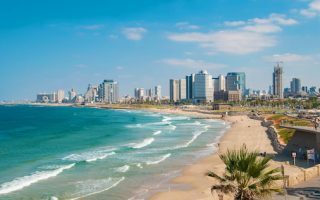 There are plenty of hotels, mainly clustered in the city center near Rothschild Blvd., and in the western part of the city along the coast. Our recommendation is to stay in one of the beach side hotels if possible, allowing access to wonderful waterfront running. If you stay toward the northern part of beach toward the Port of Tel Aviv, there’s also good access to the Yarkon River paths and park. 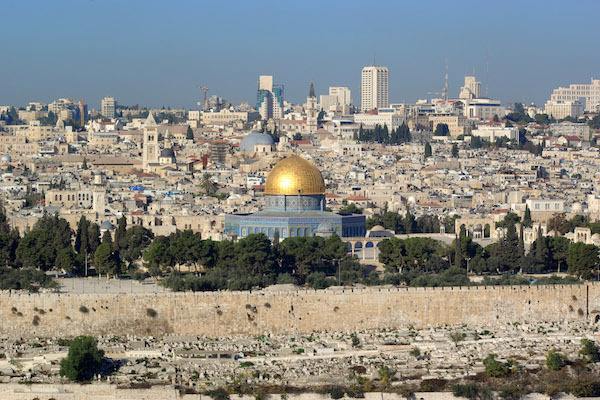 Jerusalem is a major tourist destination, and there is a good selection of hotels. The best hotels and most centrally located are in the Downtown Triangle and off Hebron Rd. (Rt. 60) near the Old City. Try to stay in this area to be close to the best running routes in Jerusalem. There are no hotels in the Old City. See our Israel Overview map for a list of running stores around Israel. There are outlets of major running shoe/apparel companies in most of our running locations. Tel Aviv: The main independent running store in Tel Aviv is Pro Runner, located near Yarkon Park. Great selection of running clothing. There’s also Nike running store and Newton Running. For other parts of Israel, see the Overview Map. There are plenty of Nike and Adidas stores located in Israel’s population centers.